Ah, supermarkets. You can either love them or adore them. And the wider the range, the higher the joy. So, imagine our plight when we came across this hidden gem, right in the heart of the city? Kenorita Supermarket is bang in the middle of Nepean Sea Road, so we assumed it would be a ‘do-not-touch-your-wallet’ kind of situation. Well, that just wasn’t the case. As soon as you walk in, you’re overwhelmed with the number of products arranged in glass panels from the floor to the ceiling. Overwhelmed in a good way, that is. Once you get used to the fact, you run helter-skelter to grab a basket and fill it up, never mind the bill, amirite? Well, while browsing we came across muesli packs with Quentin Blake (of Roald Dahl fame) illustrations (INR 250). Needless to say, we bagged it. Apart from this, you can get all sorts of snacks, ranging from healthy to creamy and even the only-cheat-day variety. They also have a cheese, yoghurt and cold freezer section for all your exotic dairy products. 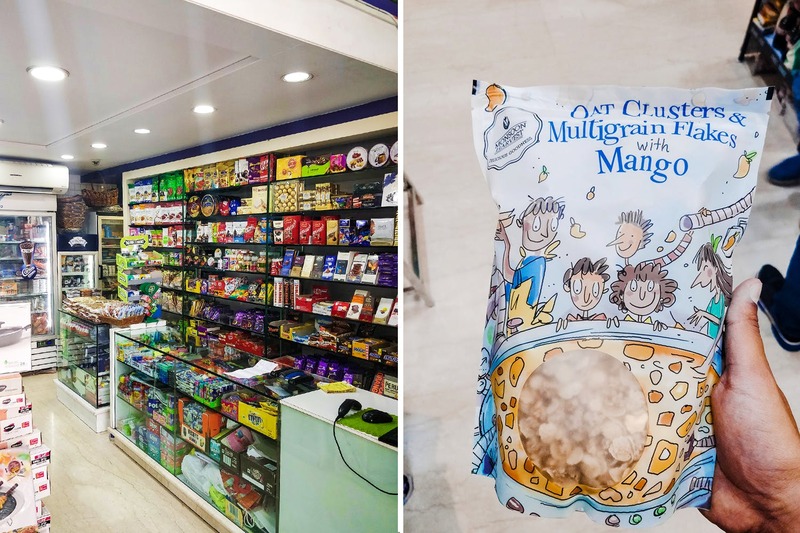 Their chocolate section can blow your mind (Twix, Snickers, Flake, Kit Kat varieties, Gobstoppers, sour candy – you name it!) and they even have an Italian section with different sorts of pasta and sauces, a guacamole range, dips of every size and colour, shortbreads, snacks and the works. On the other side, you’ll find imported home care items (air sprays, cleaning materials, etc) that smell divine and are affordable (INR 300 for a bottle of Bloo and a pine fresh cleaner). We could go on an on about how exciting the trip was personally, but it’s time you get to experience it yourself. Kenorita supermarket has been a treasure trove of the exotic and we’ve loved every minute of it.